Every three months, I receive 32 injections of botulinum toxin. Starting at the base of my neck, my neurologist moves quickly through the shots, inching up my scalp, and finally landing at my forehead. It takes no more than six minutes, but by the time she reaches my eye brows, I feel hot and nauseous. “Do you need a break?” She asks. “Nope. Let’s push through,” I say, and take one last deep breath. “Furrow your brows like you’re mad at me,” she directs. “You are furrowing your brows, aren’t you?” She realizes, playfully, as we both determine I no longer have command over the brown caterpillars that live above my eyes. These injections, which I’ve been receiving for 15 months, have saved my life. In March 2016, I enrolled in a clinical study that compared the effects of Botox and Topomax (an anti-seizure medication) on chronic migraine syndrome, a neurovascular disease in which people spend over half their lives with debilitating migraine headaches. That spring, I was working four jobs in three counties, caring for my mother, who’d just been diagnosed with dementia, and learning how to manage my disease. 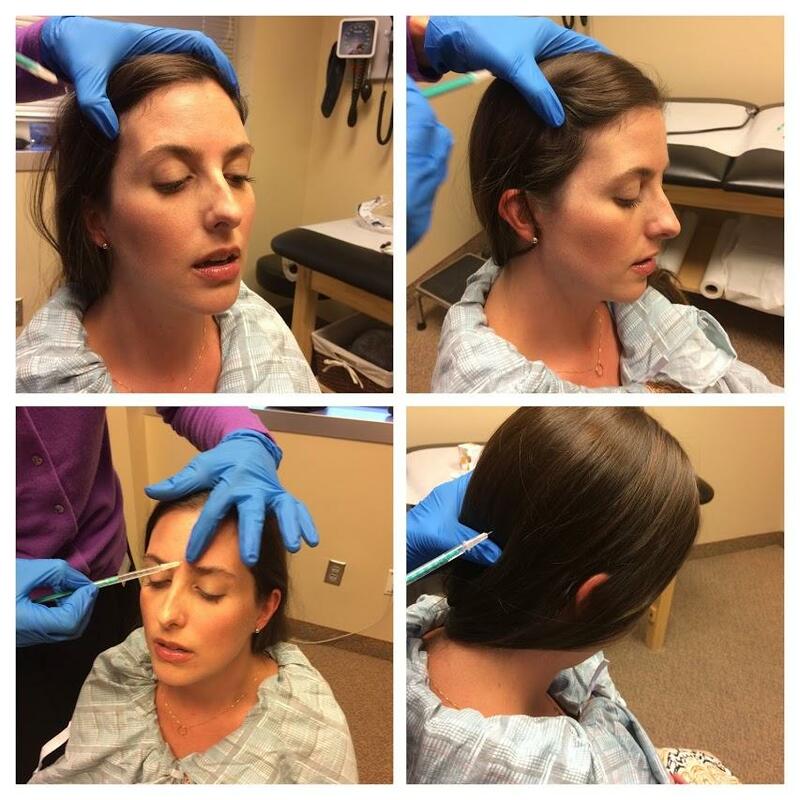 I tried Topomax first, and when it wasn’t a fit for my body or mind, Botox became my elephant gun in more ways than one. The treatment of my chronic migraine syndrome came with more than just a wrinkle-free forehead and less migraine days. I gained a sabbath practice. Amid the chaos, I realized that the Botox treatments would work best in tandem with balancing the human essentials: enough sleep, nutritious foods, and a stable home-life. I knew that while the Botox was doing its job, I needed to do mine: I needed to get my condition under control while seeking meaningful relationships with God and others. The symptoms—migraines, depression, busyness—were indications of something larger. The chronic condition that dictated my days became an invitation to find peace and purpose beyond deadlines and elusive success. I remembered times when I wasn’t so stressed—when weekly replenishment hadn’t seemed so out of reach. Two decades ago, when the world was much different, time felt slow and limitless. I had no migraines; I spent many guilt-free Sundays with no worldly goal in sight, filling my hours with daydreaming, reading, resting, praising, praying, fellowshipping, gathering and moving toward the Divine. Time had been my most plentiful resource—and I seemed to know its value. For Sabbath’s Sake: Embracing Your Need for Rest, Worship, and Community is the fruit of this journey. During the past year-and-a-half, I’ve re-examined myself, my faith, and the world I live in. I only needed to step off the crazy-train with an intention of re-entering what Rabbi Abraham Joshua Heschel calls a “palace in time.” I needed to reclaim our time for rest and worship, and seek community. Maybe you do, too. I see an entire American culture yearning for sabbath. People are sending out emergency signals, begging for relief from their stressed-out, overworked, desperate lives. People want rest, devotional practices, and community. They want real life—the kind we only find when our lives have meaning. The God of Abraham has an ancient gift to offer, a spiritual technology that transcends every generations’ distractions and woes. What would it take for all of us (especially the Christian church) to embrace sabbath as a weekly launch into a deeper, healthier life? But there’s no need to wait until you are diagnosed with a chronic disease that requires 32 injections of botulinum toxin quarterly. I did the hard work for you; I’ve re-examined myself, my faith, and the world we live in. You only need to follow this little manual, and, above all, lean into the wonder of sacred time. 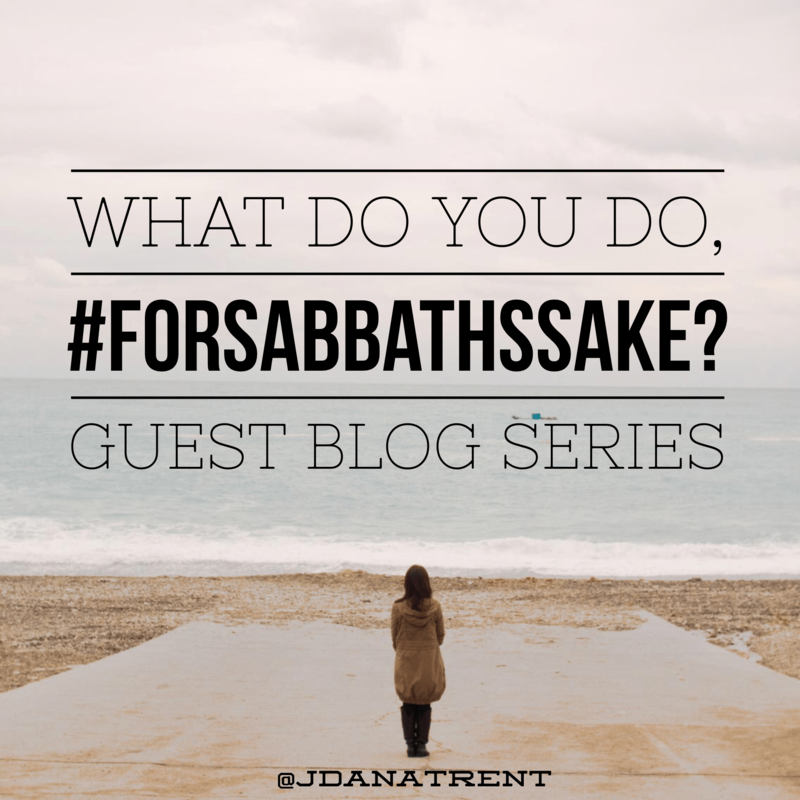 Our lives depend on it, for sabbath’s sake. For FREE sabbath resources, visit My Quiet Spaces Book of the Month. 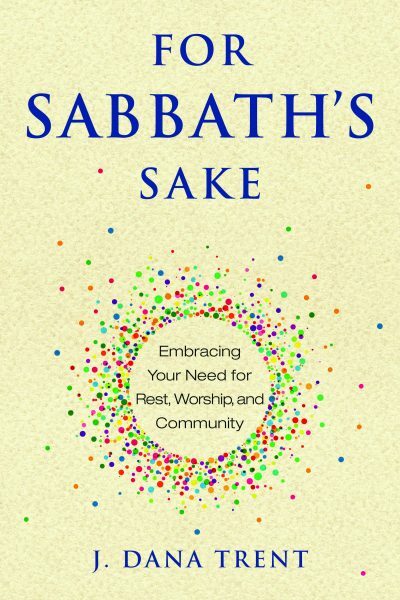 Amazon: Order print and Kindle versions of For Sabbath’s Sake here. Barnes and Noble: Order here. NEW! For Sabbath’s Sake Audiobook: Order here. Thank you Dana. I started reading your new book on Kindle today. Your story of migraines and Botox and the recognition of the need for balance and Sabbath touched me deeply. I started coughing with a mysterious illness in October 2013 and finally got the disabling hacking under control in February of this year. I managed, just barely, to keep teaching high school, but had to drop many of my service activities, even attending church where I used to wear at least a half dozen hats. In July I started an autoimmune drug which has allowed me to keep decreasing the awful prednisone and actually start feeling like myself again! You, and your call to Sabbath have been with me through much of the journey. I found you somehow through Upper Room or through Kristen and prayer beads. I read your Costa Rica posts in Christmas of 2014 when my dad was dying and I was too sick to take care of him. I remember you writing about the loss of your own father as well. Your call to Sabbath helped transform sick hours on the couch to sacred time for spiritual growth. I also looked for new ways to serve in illness. I pray for 7 prayer requests from Upper Room that I receive every Friday, and I text a heart and prayer hands each week to friends and loved ones struggling with loss and pain. I now need to keep the commitment to balance and Sabbath as I feel better and want to do more. I am so stubborn and self-sabotaging at times. Reading the story today about the tired horse not drinking the water brought tears to my eyes. I enjoyed your first book and am really looking forward to working through this new one. Oh, Latisha! I cannot adequately convey enough thanks for this comment/post. Your words are the exact reason I write–to connect with others who are in a similar situation, longing for resources and encouragement. So many writers have been this source for me; I pray each day I pay give it forward by being useful to someone else. Prayers abound for your continued journey toward restored health. I love that you’ve transformed “sick hours” into deepening your spiritual practice and doing for others. What an inspiration you are to all of us! I’m delighted you found me and that I have now found you. I pray for blessings on this new journey of sabbath for you, as well as your continued physical healing and grief for your father. Please keep in touch; let me know your thoughts about the new book, and thank you again for reaching out! You have truly made my week.